Our benefits programs are an integral part of a total remuneration package designed to support our long-term business objectives, as well as attract, retain and reward the most qualified employees. We invite you to explore the world of opportunities waiting for you. This position is responsible to safely operate CPF Production Facility in Banyu Urip field Block Cepu including other associated support facilities such as utilities, RWI and RWB in a safe, efficient & environmentally responsible manner, according to operating procedures, company guideline and government regulations. This position also ensures and establishes a safe work environment for all activities. Operate production facilities in safe manner and following approved operating procedures and work practices within operating envelope, maximized reliability and maintaining integrity. Conduct daily surveillance rounds timely, record parameters and required tasks. Discuss with Lead Operator/Supervisor any issues and discrepancy found during the rounds. Report immediately to Control Room Operator/Lead Operator any abnormality and unsafe condition observed during conducting the rounds. Provide first line control of situation under close communication with CCR operator, including justification to local shutdown or ESD should condition becomes uncontrollable. A reliable member of ERT team to handle emergency situation to minimize impact to personnel onboard, production downtime, environmental and community. Review work permit pack requirement for completeness including thorough hazard identification and mitigation (JSA). Confirm required isolation have been applied, zero energy demonstrated, and where applicable, adequate rescue and lifting plan are available to provide a safe environment for personnel to perform the work. This is a mandatory requirement prior signing work permit to live. Stop, intervene, and approach others when unsafe act/manner observed. Watch closely critical works being performed within assigned areas such as Confined Space, Lifting, work at height, breaking containment, hot work, etc. Intervene immediately or stop the work when deviation to safe work practice, work management system or safety regulation is observed. Perform equipment isolation, draining, purging/venting, and ICC application either prior hand over for maintenance or for long term isolation/decommissioning purpose. Apply car-seal open/close accordingly. Perform proper equipment reinstatement after maintenance activity completed or long term isolation resume. Ensure sufficient chemical, LPG, Nitrogen, Ammonia and diesel fuel stocks and inform Control Room Operator and Lead Operator for replenishment. Conduct fire water system weekly run-test and fire extinguisher monthly checks or per approved schedule. Communicate issues and findings to Lead Operator/CCR Operator. Conduct Work Permit and activities assessment for ongoing activity and provide timely feedback to work group for improvement. Participates in development, review and revalidating of operating procedures, understand safe operating limit of parameters and equipment. Lead weekly safety meeting when scheduled. Involve in PSSR when needed to ensure safe startup of any new equipment/modified facility introduced within CPF facilities. Record daily activities in log book, conduct a thorough hand over during shift change and ensure SHE, Integrity, reliability & WMS aspects are addressed. Ensure good housekeeping in his working area. Understand in Oil & Gas Processing including required certification trainings. Competent on the safety requirement and completed competencies assessment as required. Proficiency in English, verbal and written. Good communication, Interpersonal and Analytical/Problem Solving Skills. Minimum of 8 years of well operation or crude oil processing plant or other production operation experiences. If you're interested in the above vacancies, please apply via link below. FRAUD WARNING!!! 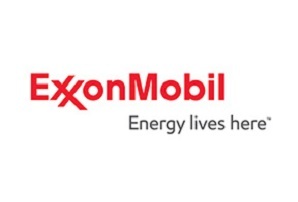 No individual shall be authorized to use the ExxonMobil name and logo in an attempt to solicit up-front fees from the interested job-seekers.